Dental Product Reviews, Marketing, Personal Security, & Much More! ← “I wish I had a gun.” Not! Slam-Dunk Anesthesia for Lower Molars! I’ve learned a lot of tricks over the years, and the internet has been my go-to source. For at least 20 years, I’ve been an active participant in online forums. The ability to access the minds of hundreds and even thousands of my colleagues has proved invaluable throughout my career. A friend of mine, Dr. Michael Nugent (aka the “Shooting Dentist“) from the Great State of Texas, has been cajoling me about writing this particular article for at least a year. He finally and unabashedly resorted to bribery by sending me a 40-round AR-15 Magpul magazine. One frustrating aspect of daily dental practice for many dentists is consistent and profound anesthesia for lower molars. We were taught to administer an inferior alveolar nerve block… aka “IANB.” And, many of us have run into situations where the patient exhibits the classic signs of anesthesia, yet they still feel pain. So, we give them another block. And, wait. And, then HOPE that we got it that time. Mind you, administering a “painless” IANB is quite the challenge. It’s not a fun injection to receive. There are other techniques such as Gow Gates and Akinosi techniques, sworn by some to be very effective. And, in their hands, I’m sure they are. I’ve never felt comfortable with either. 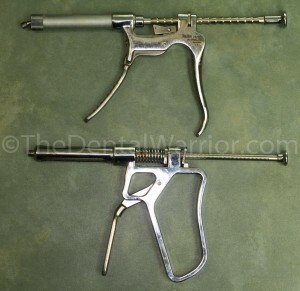 Years ago, I briefly tried the intra-osseous technique branded as the “X-tip.” With this gizmo, you actually punch a hole through the gingiva and cortical plate with the needle mounted on a slow-speed handpiece. It works, but it can be a bit scary / traumatic to both the patient and the dentist! You’ve got to make sure your aim is good and not running into a root. I had a couple of cases that ended up sloughing some tissue and bone post-operatively. I abandoned the technique shortly thereafter. I consider it more an issue of my own shortcomings, not the product or technique. Another fall-back technique, after all else has failed, is the PDL (periodontal ligament) injection. For some reason, this has been long held as the technique of last resort. And, by the time you get to it (after trying multiple blocks), the patient is pretty weary and probably losing confidence. And, chances are that many dentists are not doing the PDL injection correctly. Make your life easier and patients’ experience better with PDL (intraligamentary) injections. Why not make it the PDL technique of FIRST resort? If it can work when all else fails, why not use it routinely… first? OMG! FIRST? Well, yeah… sorta. Read on. Many years ago, there was a dentist on Dentaltown named, Dr. Scott Perkins. His “thing” was doing procedures efficiently. He managed to create some controversy with concepts like the “15-minute molar root canal.” I believe he even had a series of videos for sale. But, he shared a lot on the forum. One of his ideas was to use a PDL injection routinely for lower molars as the primary way to anesthetize the tooth. I gave it a try and was very surprised at how effective it was. Of course, I’m a typical dentist, and I ended up modifying the technique. But, it’s one of the best “pearls” I’ve learned in my career. Nobody can get me numb! That’s my 30 year old dental school “Dento-form!” I’ll be using this for the demonstration below… a lot easier than taking photos while injecting a patient. I haven’t given an IANB injection for routine restorative (even endo) of lower molars in many, many years now. And, I don’t miss it. Neither do my patients. One of the best things I learned was the routine use of PDL injections. I now am absolutely confident that I can get lower molar profoundly numb, quickly and predictably. This is also a huge confidence builder for patients. Now when a patient says, “Nobody can get me numb,” instead of thinking, “oh great,” I smile and say, “I can and will get your tooth completely numb.” My assistant will usually be nodding, as well. It’s all about instilling confidence in our patients. Profound anesthesia is a win-win. Patients can relax, knowing they will not feel a thing. We can do our best work when were not worried about hurting patients and the patient isn’t jumping or flinching. So, how do we do it? I will discuss my own variation of the technique. The entire experience for the patient is effectively painless. And, for the purpose of this article, let’s consider the case of a lower first molar. My preferred topical anesthetic from Ultradent. This is actually very important. Use a good one, and use it properly. By “properly,” I mean a couple of things. First, DRY THE TISSUE (with 2X2″ gauze) in the buccal vestibule of the area being anesthetized. Then apply a liberal amount of topical on a cotton-tipped applicator and place it on the dried tissue. Now let it sit… for TWO MINUTES. Time it. Two minutes! This is the critical part, in my opinion. If you let it sit there for two minutes, it will actually work! 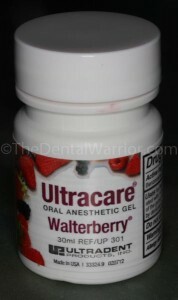 My favorite topical is Ultradent’s Ultracare in the “Walterberry” flavor. I tell my patients about the topical anesthetic as follows, “We’re going to place some gel on your gums to numb you before we numb you.” This is a way of letting them know they’re not going to feel the injection. 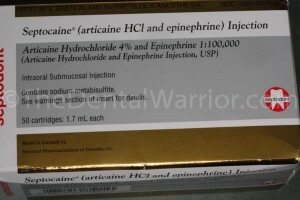 I like Septocaine (Articaine). Some dentists report that on patients with thin cortical bone, that merely infiltrating Septocaine next to a lower molar will provide adequate anesthesia. Supposedly Septocaine penetrates bone better than Lidocaine. I don’t know if that’s true. And, it really doesn’t matter. I do like the results I get with Septocaine. So, for this lower first molar, after the topical has worked for two minutes, we’ll infiltrate with a full carpule of Septocaine, using a regular syringe and 30-guage short needle. I use my usual technique of a quick “jiggle” and shallow initial penetration of the needle. Express a little… pause… advance… express…. pause… advance. And, so on. Patients often tell me they didn’t feel it at all. Now we let that work a couple of minutes. It works quickly on the soft tissues. Are these “assault syringes?” Maybe if I paint them black, eh? This is also important! Do not try this with a conventional syringe, even though you may think you have the hand strength. You don’t. The PDL syringe gives you much better control and leverage. There is also a “pen-style” PDL syringe, but I have no experience with it. You MUST use a proper PDL syringe. They aren’t cheap ($160 – $280)! But, I’m telling you… this will make your daily practice SO much easier, predictable, and relaxed. Notice the red dot indicating the side of the needle with the bevel. For syringes with a straight hub, I bend the needle. By now the local infiltration has anesthetized the tissues. Place a 30-guage extra short needle on the PDL syringe and load it with 4% Septocaine. I like to put a 45-degree bend in the needle right at the hub. Some of the PDL syringes have a tip / hub that is already angled at 45-degrees. Insert the needle, bevel facing out, firmly into where you would expect the buccal furcation of the molar to be. FIRMLY. I angle the needle parallel to the long axis of the tooth, so I can press straight down. The extra-short needle makes it less likely to bend or kink when pressing firmly. At this point, I will ask the patient, “Feel anything?” “Nope” is always the answer. The ideal injection site is mid-facial / into the buccal furcation. It’s important to direct the pressure directly over the long axis of the needle (red arrow). This eliminates kinking or bending the needle. I begin by slowly expressing the first “click” of anesthetic. I expect to feel some back-pressure, and I don’t want to see anesthetic leaking out through the gingival sulcus. If I get leakage, I may back out a bit and rotate the syringe / needle a few degrees one way or the other before firmly “re-seating” it into the bone. Then try again. Alternative injection sites include the mesial or distal line angles. If I’m having trouble getting into the buccal furcation, I may try alternative locations like the mesial or distal buccal line angles of the tooth. Again, look for back-pressure and no leakage. Generally, I like to get 2 full “clicks” of anesthetic delivered. Each click is 0.2-ml of anesthetic. So, the actual volume of anesthetic is quite small. “Did you feel anything?” Nope. The truth of the matter is that the “PDL” injection isn’t a PDL injection. It’s an intraosseous injection infiltration. Using a regular (short or long) needle can end up flexing or bending as you place it firmly into the sulcus. Once you’ve delivered the anesthetic, you can go right to work. No waiting! Rock and roll, baby! Start preppin’! The patient will feel nothing! Win-win! If your procedure goes long, and the patient reports feeling discomfort, you might have to supplement with another PDL injection. Use the same spot you used before. But, for most routine restorative, including a crown prep, the first round should provide profound anesthesia for the duration of the appointment…. and then some. Patients love it. We use less anesthetic and they are more profoundly numb. Again, this is one of the best things I’ve ever implemented in my daily practice. And, I’ve been using it for more than 10 years. It greatly reduces stress when I know I can “go to town” and not worry about when the patient will be jumping. And, the patients relax, too! They know they aren’t going to feel a thing! Try it! Chime in with your comments below. If I get around to making a video of this, I’ll edit this post to add it. Perhaps my affinity for the PDL syringe is a happy coincidence? 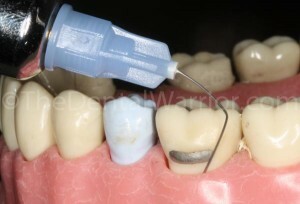 This entry was posted in Clinical Technique, Editor's Favorites, Tips & Tricks and tagged dental anesthesia, intraosseous injection, pdl injection. Bookmark the permalink. 149 Responses to Slam-Dunk Anesthesia for Lower Molars! Are you also doing this PDL technique for bicuspids and incisors? Nope. Just local infiltration for premolars and anteriors. WOW… just dumping a carp of Septocaine in the buccal vestibule for the permolars and anteriors? The Septocaine will diffuse and get the tooth numb? Yep. Been doing that for well over 10 years… ever since Septo came on the market. Feel and look for back pressure? I assume it’s when you are trying to press/click the PDL and you feel resistance? How do you look for back pressure? Feel for back-pressure and look for no leakage of anesthetic. Does it work as well with anesthetic without epinephrine? Hi Laura. Thanks for visiting the blog and your question. I haven’t tried it, honestly. I would expect it to work, perhaps not as long (just like with conventional techniques). Gee Mike I so agree that I could have written the article myself and it would have been almost identical. What ever happened to Scott Perkins? He seems to have disappeared. The only thing I would add is that in a certain percentage of my patients they will develop some acute periodontal ligament soreness that lasts a day or two from this infection. Sometimes as you described it is hard to get into a spot where the needle tip is locked in and you get backpressure on the syringe, so you have to try multiple spots. We are doing a little trauma to the tissues when we do this, also we are leaving some needle tracks into bone for subgingival bacteria to colonize and that may contribute. Anyway I simply warn patients that a small percentage of the time some soreness may persist (including to biting) and they may want to take some Advil. When I was in school the dogma was that the vasoconstrictor and the pressure could cause pulpal necrosis. Appears to have been unfounded based on experiences like ours of thousands of cases treated. Thanks for sharing, great article. Hi Mark. Yes… sometimes you have to move positions. And, I let patients know they may be a little sore from the injection. But, heck…. you can be a LOT sore after an IANB injection, including trismus. Ask me how I know (personal experience). That said, I’ve had scarce few come back complaining of soreness. It’s really not an issue. If the vasoconstrictor or pressure was an issue, we would have certainly seen it by now. It’s not. Another piece of advice from an endodontist is to (if med hx allows) pre-med the patients with either 800mg of ibuprofen or give a medrol dose-pack for one week prior to appt. That has worked for her on smokin’ hot teeth. I hate the x-tip. I have used it on myself 3 times (I am the guinea pig of the office) and the first time I used it I developed an infection, granted my own health history puts me in ASA 2/3. The other two times were fine, but I sure was sore! Gotta love the Ultradent Walterberry! It is my go to topical also, and we always joke with the patients about “what the heck is a walterberry?” Seriously, is it a berry?! Thanks and keep up the great work! Actually that is the truth. I asked Ultradent once when ordering it! OMG! I just googled Dr Ellie and found a lady telling the public to “Kiss Your Dentist Goodbye.” UGH! I am not her, to be fair she had the name first. Do you feel you need a whole carp in the buccal vestibule? What is his accomplishing? I have done this technique by placing a 1/4 carp in the vestibule or just placing some cetacaine in the sulcus. I’ve had success with both, but I would like to be predictable like you are. Also, do you use the PDL syringe to dump the first carp into the vestibule? Thanks. My guess is that the whole carp of septo in the sulcus does make a difference. I seem to remember reading that a carp of septo infiltrated brings the success of anesthesia after giving the IANB from 60% to 80%. I routinely give septo in the sulcus after a IANB. Thoughts? I use a regular syringe for the infiltration. Thanks for chiming in with your comments. Great article Mike. I am a regular user of the Paroject (Septodont) which is a pen style PDL syringe. (It is a lot less scary looking than the Ligmaject). I mainly use it for extractions and teeth (mainly lower molars) that are resistant to block anesthesia. I really like your technique for eliminating the IA, I think it is a nice modification of Scott Perkins’ idea. Do you have any experience with the STA? I was also interested in exploring this technique even though it is kind of pricey. I bought the STA. I get it to work about 50% of the time. It is expensive, the tubing and needle to use it is expensive and it takes a LONG TIME. It can take up to 5 minutes to try to get a molar numb. It is very slow. Hi Jeanine! I have not tried the STA or any other computerized delivery system. I’m just not sure what “problem” it solves. I’ve also not tried the pen-style syringes. I wonder if I can get the same leverage for pressure? I’m loving this post. I think I’ll order a PDL syringe first thing next week. Any tips for a painless injection on anterior teeth or numbing the lingual tissues? Hi Kendell. 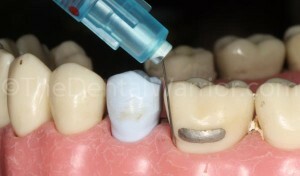 For anterior infiltrations, again… I think the key is to use good topical on dry tissue and left in place for 2 minutes. Then a gentle / slow injection technique. For palatal or lingual tissues, it’s tougher. I use the mirror handle pressed into the tissue distraction technique. Sometimes it seems to help a lot. Other times, not so much. Hi Kendell! Good question. It’s hard to quantify what it feels like in writing. But, with no back-pressure, you’ll EASILY squeeze the trigger (and likely see anesthetic leaking out). On the other hand, if the needle’s lumen is blocked, it will be nearly impossible to squeeze out any anesthetic, and you’ll feel that. So, when it’s going in “just right,” it will also “feel right.” It won’t be too hard or too easy. I’ve been trying this technique off and on for a few months now. My biggest problem seems to be getting the needle to enter the PDL space. For some patients it goes right in and I can tell when its going to work. Other times I’ll get leakage and repeatedly try to reposition but with no luck. Sometimes I wonder if I’ve got some crummy needles since I’m using up the leftover stock from the old dentist. Any certain brand that you prefer? I’m at home now, and I don’t recall the brand. I’ll try to remember to look tomorrow and update this comment. Are you using the “extra-short” needles? 30-gauge? I just looked. The brand of needles I use is “Accuject.” Hope that helps! Great, thanks for getting back to me! New to your site here, but loving it. I gotta tell you, and others on here, I will never use a PDL gun again. Obviously I had a BAD experience. Technique was perfect, injected slow and used minimal anesthetic. Worked great for a couple months and then I had a patient complain of soreness after the local wore off. When I saw him, he had a 10mm pocket where I injected. He had no pockets anywhere else in his mouth and absolutely no pocket where I injected. Sent him to my local perio and he needed a bone graft to correct the defect I cause. It obviously scarred me away from ever using the PDL gun again. Anecdotal, but I’d never use one unless the reason for needing anesthesia was for an extraction! Interesting story. I’ve never heard of such a thing. And, it doesn’t really make sense to me. But, I won’t deny that it happened. I’ve been doing this for many years and have not seen a single instance of a perio pocket being caused by PDL injections. Bummer that it happened to you. I hope the perio didn’t throw you under the bus! Thanks for visiting my blog and chiming in! So bevel away from the tooth right? Why bevel away from the tooth? I actually have a STA (The Wand) and love it. Yes, it is expensive…patients don’t like that it’s slow but they DO like that it’s “state-of-the-art” and doesn’t looks like that big needle I used to get. 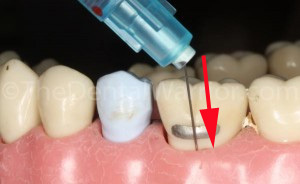 Anyway…with the STA Pdl-type injection, it’s bevel towards the tooth. Can you explain the difference? Because the root isn’t porous and will occlude the needle lumen, blocking the flow of anesthetic. Thanks for visiting my blog and commenting! I am a dental warrior!!!!!!! Tooth number 18 occlusal decay. Dry tissue, topical, 1 carp septo, ran to go to Hygiene check. Came back with my new fancy PDL gun/syringe. Put needle in the furcation. Squeezed (it was an easy squeeze and I saw all the local coming out), rinse with water and try again. This time I was a MAN and pressed the needle with force. Squeeze (wow it is really tough to squeeze and no local came out) and then click. I put 3 clicks just because I was nervous. Laid it down, picked up the hand-piece and started to prep. No pain, no nothing, and super fast. Why have I been doing lower blocks all this time. Thanks Mike, you maid me a better dentist today! 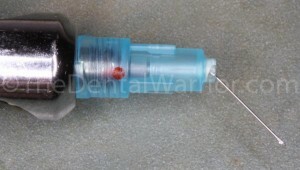 Can we get an PDL Syringe that looks like say…. a Desert Eagle? I bet some customers would be into it. Do you use this technique by itself for extractions of 1st and 2nd mandibular molars? I have. But, you’ll need to get lingual anesthesia, as well. I love this technique as well. I have been using it a lot lately. However, every once in a while a patient will return with marginal gingival necrosis and sloughing. around the buccal aspect of the tooth. This is very painful for the patient and takes a long time to heal. What am I doing wrong here? I tend to inject about a half to three quarters carpule of Septocaine total at multiple injection sites around the tooth. Thanks in advance for any feedback! In all the years I’ve been using this PDL technique, I have had maybe 2 – 3 post-op issues, as you describe. And, it’s been a very long time since I’ve had one. But, the one thing that jumps out at me about your technique is that you’re using a LOT of anesthetic AND poking the patient a lot (multiple injection sites). I typically use only one injection site (mid-buccal / furcation) and use about 2 “clicks” of anesthetic, which is a fairly small amount. Thanks for visiting my blog and taking time to post a comment! For lingual anesthesia on lower molars, do you just infiltrate at the MGJ, or what is your technique? As one person replied earlier, do you think the pen-style provides enough pressure as the “gun”? Thanks!! If I need lingual anesthesia, I do exactly that (infiltrate at MGJ). I’ve never tried the pen-style syringes, so I can’t comment on them. When the bevel (and lumen) face the tooth / root, it blocks the flow of anesthetic. When the bevel and lumen face the bone, it flows. Simple as that… at least in my experience. 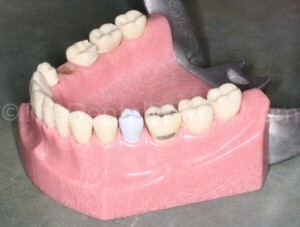 Hi Mike, so you do not infiltration the lingual if just for restorative procedure? the anesthesia is enough for prep the lingual area or packing cord (laser in your case )? I don’t usually infiltrate the lingual. It’s not a comfortable injection (like a palatal). So, I avoid it if I can. I agree that for kids (I don’t see many) and small-framed women, the buccal infiltration may be enough. Yeah… I use the PDL on 2nd molars (and the occasional 3rd). reading your blog with great interest. I don’t usually struggle to get anesthesia but occasionally with endo and if the pulp is hyperaemic. I know the pt is numb but they still feel pain, any advice? Hi CC. Hot pulps can be particularly difficult. I just hit them from every angle I can. The PDL approach can be helpful. And, then when I have access to the pulp, I give an intra-pulpal injection for good measure. hi great blog. What would you do in those cases where patients experience a ‘reaction to adrenaline’? Hi Amin. Thanks for commenting on my blog. Patients who are sensitive to epi are fortunately few and far between. It’s very rare. In those cases, I would just use anesthetic without epi and let the patient know it won’t last as long… will need to supplement more often. 1) What is the purpose of placing a whole carpule of anesthetic in the fold if the purpose is to get the duration numb? 2) How can 2 clicks in one spot, numb multiple roots? 3) Placing the bevel facing outwards seems counter intuitive, as anesthetic will be more likely to leak into soft tissue. Would not the likelihood of perfusion into bone be increasedwith bevel placed towards the tooth? In addition, if placing the bevel away from the tooth is more effective why does Miles Scientific the maker of the STA wand advocate the bevel to the tooth, if all things being equal they would get better results placing it away from tooth? If you place the bevel towards the tooth, the anesthetic has nowhere to go, as I see it. The needle lumen (on the bevel) will be blocked by the “brick wall” of the root surface. If the lumen is facing the bone, which is porous, it has somewhere to go. Thank you for your reply. I will try it and see what happens. With regard to my other question, do you use two clicks for each root? Thank you. I use two clicks for the whole tooth… usually right in the furcation. Used this technique today with great success. Could not get pulpal anesthesia on this patient a few days ago with IANB in spite of positive lip signs. He did note soreness in the injection site as we were finishing up the procedure. Glad to hear of your success. I let patients know that they may be a bit sore from the injections. But, they sure appreciate being numb for the procedure. I haven’t had any complaints. 1) When you say 2 clicks in the furcation, that is a total of .4 ml. That will diffuse to numb all 3 roots of a molar? How long is the anesthetic effect? 2) Have you had patients complain of increased heart rates from this injection? 3) Have you used this injection on premolars and anteriors? In my experience, yes. Sometimes we need more. Most of the time, the effect is long enough to finish most routine procedures. If it’s a particularly long procedure… >1 hour… I may need to supplement with additional injections. Extremely rarely. I honestly cannot remember the last time that happened. No. I’ve never had the need. Maybe I’ve done it on a stubborn / hot premolar. But, I don’t remember. For routine cases, I just infiltrate premolars and incisors. I hope that helps! Thanks for visiting my blog! Ordering my syringe now!! Couple questions: 1. If you use buffered anesthetic will this be even more effective and more painless? 2. Can you do the initial filtration injection with the PDL syringe and use all but the last .4 ml (for the PDL injection) and thereby save the trouble and cost of using two syringes and two needles? Thanks, can’t wait to try this! Hi Roger. Thanks for reading my blog and adding your comments. 1. Honestly, I don’t know. I’ve never used buffered anesthetic. 2. I suppose you could. I’ve never done it… for no particular reason that old habits dying hard. 🙂 I suppose I’m also just used to the mechanics and technique of using a traditional syringe for infiltrations. Just tried your technique today on a patient who I could not numb with a block. It worked so quickly- and was amazing to pick up my drill and start working without having to wait! 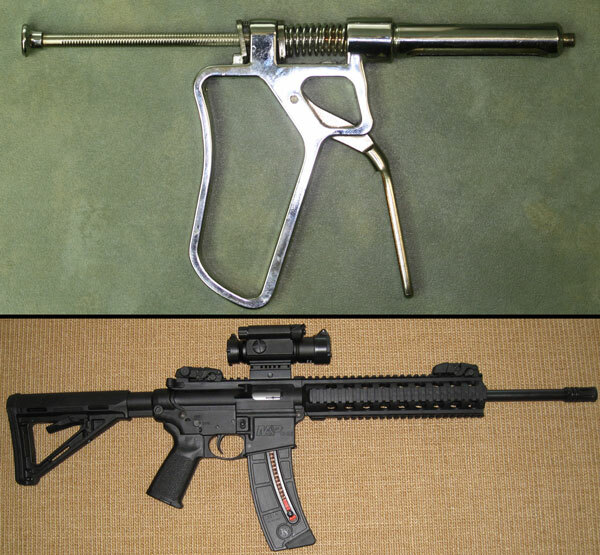 My question is how do you sterilize the gun style PDL syringe? Do you need multiple syringes so you can autoclave between patients? Thanks for your tips and feedback!! Glad to hear it worked for you, Stacy! Hi Mike , where can we buy this PDL syringes? Honestly, I don’t remember where I got it! Haha! It’s been a while. I think I googled it and bought it online. Wait… I figured it out. Here you go… Click on: Pearson Dental. I have been using the Lig. injection for many years with great results also. The only problem that I have noticed is when a patient has very long roots. Before I use the PDL injection I take an X-ray to determine how well this procedure will work. Have had any problems with longer roots? I have not found the root length to be a factor… at least not that I’ve noticed. Technically, the PDL injection is really an intraosseous injection. So, if you’re getting anesthetic into that bone space, it should work. I suppose that if the apices are a longer distance away, maybe a bit more anesthetic is needed. Another click or two, perhaps? In the past my dentist has used X tip on me. I have an appointment with a dentist who uses PDL. Are the two comparable, or should I expect more discomfort than usual? I just discovered your blog.It is music to my ears. Music to my ears. I stopped giving IANBs 3 years ago and have found this technique reliable and causes much less discomfort for the patient, all be it that there maybe some post operative discomfort for a few days. Some good points in article and I will use these to modify my technique a bit. Considered the ‘Wand’ but felt there was too much cost in the disposable items. There is however a new product from Denmark which is similar called the ‘Calaject’ but without the ongoing cost of tubes ,etc. I have been using the PDL injections for the hard to numb patients for a while now as well. However, since using the PDL syringe, started noticing more soreness PO for patients as well as a few cases of sloughing of the tissue at the injection sites. Furthermore, I used to inject in the B furcation until I had a patient with recession in that spot (similar to another comment above) where we ended up needing to graft the site! And later on, watched a Youtube video where Septo was used for GG + STA injections around “hot” first molars for endo, and again it was recommended there not to inject into the B furcation but rather at the M/D of the teeth. I did read the comment where you were suggesting perhaps the amount of anesthesia administered is too much or the number of injection sites are too many. I might need to reduce the amount (at least based on what your experience/suggestion is) but as for the number of spots for the injection, I actually don’t do that many; two typically. But today as a matter of fact, just spoke to a pt for home did a large DO on #19, who has sloughing and pain on the D aspect of the tooth after the PDL injections. So long story short, I like the PDL injections (they work!) but the aftermath is not so pleasant in my hands (so far!).. Thanks for sharing your experience, SS. I’ve had a handful (very few) of post-op cases like you describe. It’s very rare over many years. I tell my patients, “You might be sore at the injection site… you’ll know I was there. But, it should go away in a day or two.” But, as for sloughing or recession… I’ve had maybe one or two cases with sloughing over all these years. No recession cases that I know of. This injection technique has changed my dentistry completely. I feel more confident on those lower molars and I even tried it on upper molars just to see if it speed the onset time up. 1 carp buccal, 2 clicks in the furcation and went right to work. It’s not that I’m in a rush, I just wanted to see how fast it really set up. I’m talking about crown preps here too, not an small occlusal fill. Thank you so much for this article. I’m a fan of the dental warrior. Thanks for sharing, Brett! The technique has been one of the best things I’ve implemented. It’s a huge confidence builder for patients, too. I use it for everything, including crown preps and endo. Saw this video on youtube from Dr. Ruiz on a subperiosteal injection technique. You ever try this or know anyone else who tried it? I’ve been doing the same things for years Mike. I’m mystified why they don’t teach this in dental school. Yep… I know you’re a fan of efficiency and predictability! Mike, how hard to you press to seat the needle? I have an STA, and they say to just put enough pressure to pierce the junctional epithelium, but I find it isn’t enough. How hard do you push?? Thanks. By the way, have you checked out the TNN technique? It has worked for me off and on. Greg posted above. I’m not sure how to quantify how hard I push. I push “firmly” to make sure the lumen of the needle is into the PDL space. Every patient / case is different. Some go in fairly easily. Some require more pressure. Mike, do you do mostly buccal furcation only? I was recently taught this technique but was stressed to get both roots: mb and db line angles. It’s hard to get a db angle visually on a second molar sometimes. The single furcation sounds nice but I was warned this could increase sloughing. Also does it matter 1:100k vs 1:50k for the epi? Fantastic website btw! Great (and fun) reading material here. Hi Aaron! Thanks for visiting and your comments. I generally do furcation only. And, in ALL the years I’ve been doing it, no sloughing… until LAST WEEK! Ha! I can’t explain why it happened. But, it did! I’d like to start using this technique … can you describe what a “full” click means with the syringe? Hi Laura! Thanks for visiting my blog! By “a full click,” I meant a full stroke of the “trigger” on the syringe. All the way back. As a patient i recommend this injection to everyone! It is the only one that numbs me up and have had to beg my dentist for this as they never believe you that normal injections havent worked! Hi, this is Leon. I reread this thread because I was having difficulty getting a patient numb on the lower posterior. Are you still using this technique or have you modified it since last I checked in? Thank you. Are you having trouble with this technique? If so, can you describe it? Nothing has changed on my end. I use this nearly daily. Quite honestly, I read the posts in 2015, and at that time I was still trying to make my STA do what they say it should do in the PDL technique. I have grown frustrated with that system as it does not work as promised (at least in the many times I’ve tried it and called in for clinical help). I reread the posts a few days ago and want to try your method. While reading through your posts I came across the Tuttle technique which intrigued me. I want to compare both techniques. Is there a way that I can speak with you regarding your technique? I don’t have any experience with the STA or other computerized syringes. Though I wonder if such a system (with a long flexible tube) can develop the pressure needed for a successful PDL injection. While I don’t have any experience with Dr. Tuttle’s technique, I did try the intraosseous technique with a product known as the “X-tip.” It worked in some cases, but I found it to be somewhat traumatic (to the patient). Feel free to email me at mike@thedentalwarrior.com! Can I ask. What percentage success you have using your technique? BTW Mark I sent you an email. Also, I see that you are using 2x. 2ml in the furcation. That is enough for all 3 roots? If you can not get into furcation and instead use the mesial or distal, is it the same. 4 ml on that one root and nothing on the other roots? Thank you. LoL. Sorry, I meant .2ml which is one click on the syringe. So you give two clicks which is .4ml. If you do it on mesial or distal is it the same 2 clicks and it is adequate with either M or D of you need both? Thank you. I guess it kind of depends. I start with the furcation with ~2 clicks. Then, in the rare case of inadequate anesthesia, I usually go BACK to the furcation for another go. If I’m having trouble getting the anesthetic to flow in, I’ll move to the line angles and give 1 or 2 clicks at each site. 1)How often do you need to add more than those 2 clicks in the furcation? 2) If you need to add, how much more will you give in the furcation if you can? What is the max? 3) If you add on the line angles is it on the MB and DB or is it the ML and DL? 4) In general, over how long of a time is the click delivered? In my area, with a lot of retirees, a lot of them are “cardiac” patients. But, I’m not really sure what you mean by “cardiac patients.” Generally, I do not change anesthetics for them. Each patient is different. Review their history. Consult with their physicians as needed. Thanks for your article! Last week I used this technique on a patient with difficulty in numbing his lower first molar after IANB. And It worked! He said he felt nothing at all when I pulled out his molar. But 2 days later he came back with dry socket. Is it because of my technique or the vasoconstrictor in the LA or some other factors? Thanks, Jack! I love hearing success stories! I can’t imagine that the anesthetic (vasoconstrictor) would cause a dry socket. I could be wrong, of course. But, the vasoconstrictor doesn’t last THAT long. I would expect other factors at work… patient health history, habits (smoker? ), and just plain bad luck. Hi. So I’m on medicaid through state insurance. I live in Kansas. So poor folk such as myself are treated like crap and have extremely limited options. I have two lower molars and a wisdom tooth that need to be removed. Both wisdom teeth are broken and rotted down to my gum line. I was also informed I have gingivitis. Local anesthesia used to work fine with prior tooth extracts and dental work. However, in the past two years I have been to EVERY dentist that accepts my insurance. Not one has been able to numb my lower right molar. In fact, I was right out called a liar from two dentists and sent packing with antibiotics and a referral to an oral surgeon so I can be knocked out. In my state if you are over the age of 21, they will not take my insurance. I’m a single mom who struggles from paycheck to paycheck. It would take me a decade to save up to get even one tooth removed. I don’t know what to do and can’t take it anymore. For over a year I consume up to 3000mgs of ibuprofen a day as well as up to 500 mgs of naproxen sodium a day. They do nothing anymore. I’m worried my liver and stomach and other organs will be damaged if I continue. Yet I can’t find ANYONE to help me. Sometimes I have terrible thoughts of breaking a bone on purpose just to distract from my teeth. Please, I’m begging you, do you know where or how I can receive help? One possibility is for you to seek care at a dental school. I don’t know where you are in Kansas, but there is a dental school in Kansas City, MO. That much ibuprofen is really bad for you. Find a way to see a dentist. Best wishes. Have you tried varying your approach by adding in lingual infiltrations on the mandibular teeth with septo? The only time I’ll infiltrate lingually is to anesthetize the soft tissues for rubber dam clamps, for example. It’s usually not a comfortable injection, so I try to do it quickly. So, you’re infiltrating on both facial and lingual and getting adequate anesthesia for restorative or endo treatment? But, I don’t argue with success. 🙂 If it works for you, that’s what matters! Really intrigued, Read the article and ALL the comments . If an effective IANB has been given, then the PDL won’t be necessary, right? If the block is working, then the teeth in that quadrant should be profoundly numb. That said, many dentists are “hit and miss” with IANBs. This is an alternative. I like it because it’s more targeted (to a single tooth). Exactly my point , if you Hit well and Good if not there’s Pdl injection that will take care of Pulpal Pain . I do the buccal infiltration to get things going and make the PDL painless. I skip the IANB altogether. Oh my goodness. My world has been upended! I just (he’s actually still in the chair) used this technique on a patient I can never get fully numb despite all the lip/tongue signs, etc. He just prepares himself for some torture and is so nice about it. So today I told him he would be my guinea pig with this technique and total numbness. Not only that, he said it was soooo much better than the block shots. We normally schedule this guy for a lot of time to get him numb and here he is going out the door early (well as soon as I go back and get his impression for his crown done.) Thanks for sharing this technique! Wow! That’s awesome to hear! Practically, he was amazed at how numb the tooth was but didn’t feel like he was a drooling, stroke like mess. On top of how much more comfortable of an injection it was for him. Tooth #31 at that. I may try to never use a block again! Thanks for sharing your story… made my day. My dentist keeps telling me there’s no way to work on #19 without doing an IANB. Had one the last time I went in and I couldn’t open my mouth for almost 2 weeks. Now, a month after the supposed fix, I can open my mouth but still have lots of swelling and pain that keeps me up at night and is in the whole side of my face. (No infection either) #19 has to be root canaled now. Will the PDL technique work for #19? It has never been the intent of this blog to be a resource for patients… I write for other dentists. There are a TON of other blogs intended as patient resources. Furthermore, it’s not my place to interfere with any doctor-patient relationships by second-guessing a patient’s doctor’s decisions or positions. That said… I routinely perform treatment on lower molars (like #19) with this technique. In fact, it is where this approach shines. But, each doctor has his / her comfort zones and favored approaches. It’s not a matter of right vs wrong. Most things we do can be accomplished successfully in a variety of ways. This is a wonderful and very informative article. I am very excited to try the PDL injection and hope to eliminate using the IANB. I do have one question about infiltrating the lower premolars. I have had success with infiltrating the lower anterior teeth using septocaine. However, with premolars I can not say the same. I also find that at times I get a lot of bleeding when I pull the needle out after administering the anesthesia. I’m assuming it’s because I have hit an artery. Any comment or advice? Also, even though you do not use the PDL injection on the lower anterior teeth and premolars, do you feel that doing it would work as well? I have read that the x-tip is contraindicated as you get closer to the midline due to the the minimal or no cancellous bone in the area. Thanks. Hello! I have had good results with infiltrations on lower premolars and lower anteriors. I have not had to do a PDL on those teeth. Though, I would expect a PDL injection to work, if needed there. Honestly, I was not aware of the Category C designation. But, having read it, the only studies were done on animals, and the effect required a dose that was FOUR TIMES the max dose. Considering that this technique uses a very small amount of anesthetic (less than a traditional approach), I don’t see any reason for concern. But, certainly you could change to Lidocaine and get similarly effective results (even if it required re-injection during the procedure). Just my thoughts. Thanks for the reply. I had similar thoughts as I read the literature with the amount of Septocaine needed being so small it should meet the recommended “benefits outweigh the risks” for pregnant women. I’ve been using these techniques almost exclusively for lower molars and things have been turning out well. Thanks again for adding another tool to the arsenal, patients have been very pleased! Hi, I’m a Board Certified endodontist with almost 40 years of “experience”. Anesthesia on lower molars seems to be getting more and more difficult. In fact, I now dread seeing lower molars and bi’s and I’m ready to get out. I have used a PDL syringe for years as well as Stabident and Xtip. I worry about using those on teeth which are close together or those where perforation of the cortical plate is next to impossible without frying the bone. BUT, I have never tried your method as the only anesthesia; like you basically said, old dogs die hard, but I’m going to give it a try if I can muster the courage. What are your thoughts on doing this on cases with extreme percussion sensitivity and/or swelling? I’m talking about the ones with a necrotic pulp but so sore you can’t even press on them much less work on them? (medication and explanation may be your first line of attack, or referral, LOL) Also, do you check the tooth with a refrigerant spray/ cotton pellet before working? Hi Frank. Thanks for chiming in. I have done molar endo with this technique. I start with a local infiltration. So, that should help with the PDL injection on a fired-up tooth. I sometimes check the tooth with “endo ice” refrigerant on a cotton pellet to confirm anesthesia on a fired-up tooth. I have done PDL injections on and off to supplement IAN blocks using the syringe you have. I always worry about the needle breaking because I bend it and have to push hard. Have you ever had one of those little needles break on you? Also I was injecting at the line angles on the buccal and lingual but not always getting full anesthesia. Otherwise I think I’m going to start using this as my primary injection based on reading this article and all the comments. I’m having a lot of issues with IAN blocks these days. Hi Dr. F. Thanks for visiting and commenting on my blog. Here’s a patient’s review: I received a PDL yesterday for an UPPER right molar (don’t know the number, sorry). I’m one of those hard-to-numb people, and previously when work was done back in that area, so much anesthesia was ultimately needed that it effected my right eyelid. Kind of scary. This time, when a loooong wait time still didn’t do the trick, my dentist said he was going to do something he generally doesn’t do, mentioned PDL, then did it. He said it would work quickly, and of course I was skeptical. But wow, what a difference! When he was done he warned me about possible discomfort and gave me time parameters for if/when I should be concerned if there is lingering tooth sensitivity. Today my gum is still swollen, but the tooth itself feels fine. In this world of Google, I decided to see what I could find out about PDL, and stumbled on your article. I thought you might like to hear from an actual, live patient, and also that it worked brilliantly on an upper molar. You have no idea how reassuring it is to know that I don’t automatically face torture the next time I need dental work. This was a real game changer. Just sending thanks from the other side of the chair. Hi Trevor! Thanks for reading my blog! I use Accuject needles. I’ve literally never had one break. Hope that helps! Yep! Sure have. Not often. But, yeah… I think it’s a matter of the needle lumen being blocked. When I feel too much back pressure, I’ll rotate / twist the needle a little bit to see if I can get some “flow” that way. Or I’ll remove the needle and try a different location or orientation. Hi Mike! Coming back for some more questions. Have been doing this method successfully now for a year. 1) what’s wrong with coming from the lingual primarily? Any dangers anatomically there? 2) what about perio involved tooth? Are you able to still make it work in an inflamed buccal furcation? Hi Aaron! Glad to hear it’s been working for you for a year now. That’s awesome! 1. The only reason I generally don’t do it on the lingual is because it will hurt (not numb like the buccal side after local infiltration). But, there has been the odd occasion where I just couldn’t get the anesthetic to flow on the buccal and went interproximal and even lingual. 2. With a perio tooth, the bone is lower. And, this is effectively an intraosseous injection. So, you just need to bury the needle until you contact bone and meet some resistance. 3. I’ve not tried the pen-style syringe. But, I wonder if you can get the same level of mechanical leverage to generate the pressure needed to do this injection. Hey… you try it and report back! 😉 Those pen-style syringes aren’t cheap! But, yeah… I likes me some guns! 😀 haha! Thank you so much for explaining your technique. I cannot wait to try it. I do not have a lot of problem with the mandibular block but obviously it does not always work usually always on the same people. I do use the Wand all the time and patients do like it. They feel the injections are nicer and the Wand does not look quite as scary. However I have not much luck with PDL injections with it (probably my fault). The ligmaject ( the gun) works well and it gives you good feedback. I wonder if your technique works better for red hair people. It always feels like I am using water instead of anesthetic. Ha! Yeah, it’s true about redheads. Ask any oral surgeon! I hope it works for you. Keep us posted! Without reading the all posts, I may be just reaffirming. I have been using Septocaine for the 2nd bi’s forward only for years. I just dropped two implants in 20-21 today under just filtration this morning. I also am doing the just described method of buccal infiltration followed by pdl on live molars. I use Marcaine for PDL as I have for the last 25+ years. The main benefit of marcaine is that is virtually eliminates all post-op discomfort from the injection site, at least in my office. I also use the bevel facing outward as well. My topical is compounded at my local pharmacy and is a version of Tac-Gel. Also have the two minute rule. Good to see others on the same page. Hi John. Thanks for sharing your experience. Interesting about Marcaine. I haven’t tried that. I don’t get many complaints about post-op soreness. But, I do every once in a while. I would have assumed the soreness is due to the mechanical injury rather than the anesthetic type. How did you come to use Marcaine in the PDL, and to what do you attribute the reduction in post-op discomfort? Just curious. Thanks! You have shown 2 pdl syringes in the picture above. One is having larger thread size than the other one. Q1- Which one of those 2 , you recommend. Q2- Amount of anaesthetic delivered per click differs according to the thread size of syringe or its always 0. 2ml. Thanks for visiting my blog! By “click,” I mean a full stroke of the “trigger.” The finer-toothed shaft just means you can release the trigger and re-engage pressure on the plunger in shorter strokes, if you want. Either one works just fine in my hands. I’m not sure it’s 0.2-ml per full stroke on each of the versions, but it’s probably pretty close. Doesn’t really matter. I could figure it out by sacrificing a carpule and seeing how many strokes it takes to empty it and then do the math. Hi The DW,Thank you very much for the reply. I am from Mumbai,India, I like your technique, looks promising, planning to use this on my patient. Some of have mentioned doing this technique successfully with lido instead of septo. Mostly to reduce risk of tissue necrosis. Thoughts? I have not seen any cases of tissue necrosis in MANY year of doing this with Septo. I suspect that, perhaps, those cases didn’t really inject intraosseously (PDL space)… But, rather, they injected into the attached soft tissue. Just a hunch. But don’t you get tissue blanching even when done properly your way? No, not really. Or, very little. I’m NOT “Lovin’ it.” McDentists Strike Again. See the Light – Be a Better Dentist! I Give Up on Facebook Ads! My New Patients Inc Website – SEO, What Is It Good For? The Dental Warrior on I’m NOT “Lovin’ it.” McDentists Strike Again. All our videos in one place! Watch this space for upcoming topics. Anything I've ever written or write in the future is my opinion, and my opinion only. Read, ponder, repeat, or implement anything I've said at your own risk. Before doing so, consider consulting with: an attorney, the President, your BFF, the ghost of G.V. Black, your dog, or simply reconsider while contemplating your navel and sipping on a margarita. I hereby declare myself an expert about nothing. It's up to you to decide how you will live your life. That is all. All articles on this blog are original works by The Dental Warrior®. They are digitally fingerprinted and protected. Feel free to link to them, but please do not cut and paste or reproduce them in any way.